> Wildfire Interactive > What Ads Work on Facebook, Twitter and LinkedIn? One Size Does Not Fit All. What Ads Work on Facebook, Twitter and LinkedIn? One Size Does Not Fit All. 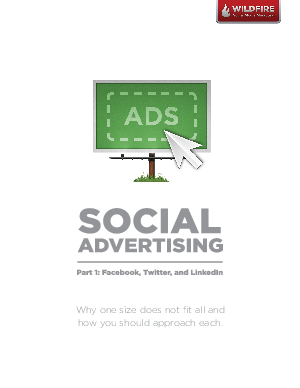 Launching a social advertising campaign may be easy. However, creating a great social advertising campaign that actually pays off can be a real challenge. Plus, the rules for success change from Facebook to Twitter to LinkedIn.